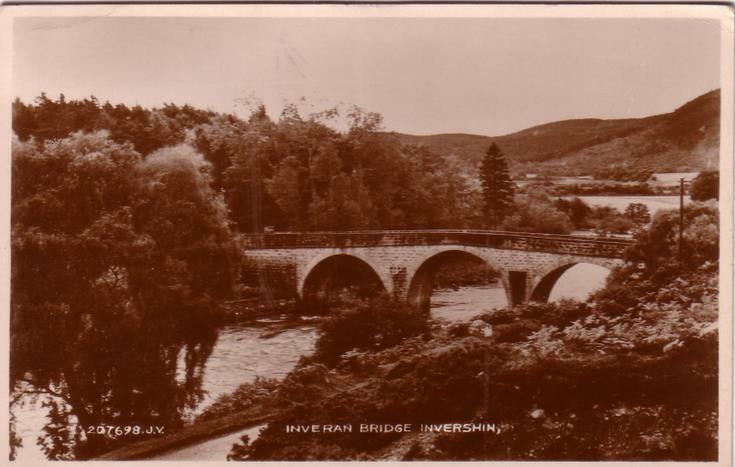 Monochrome postcard, from the Basil Hellier collection, showing the Inveran Bridge, Invershin. The reverse has a Loughton, Essex address, and a one penny George V postage stamp. The message is dated 11.9.33.